The life of a steam pioneer is being marked in a Cornish town on Sunday. Bude Canal Day and Gurney celebrations are being revived after a lapse last year during which health and safety issues were resolved. Canal Day centres on the Lower Wharf and Barkhouse Green areas of the town will feature a number of groups with displays featuring waterways. The day also celebrates the life and work of steam pioneer Sir Goldsworthy Gurney who built the castle in Bude. 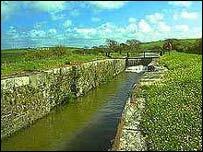 On the canal itself the Bude Canoe Club will host a canoe polo competition. A handbuilt steam bicycle is being brought from Dorset especially for the occasion.